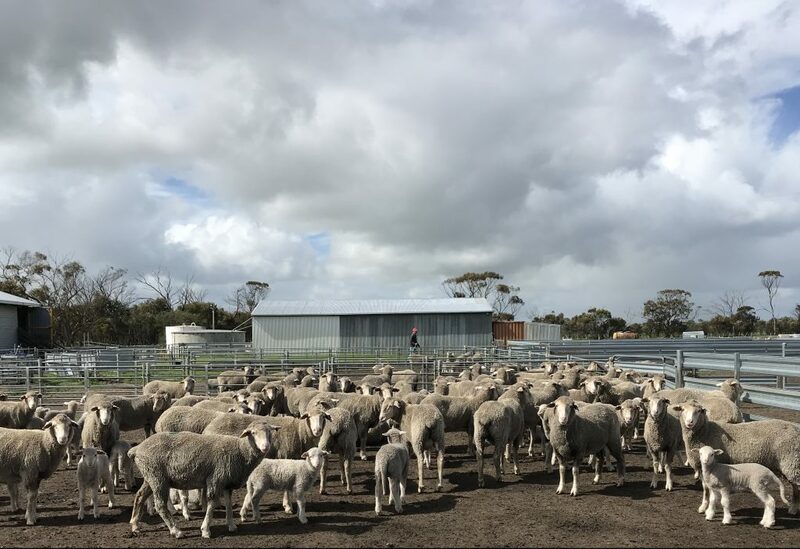 Located near Badgebup in the Great Southern Region of Western Australia, Moojepin Merinos is a third generation family run, sustainable mixed farming operation. We aim to provide our clients with an enjoyable experience breeding sheep, in creating as much profit for clients as possible, whilst upholding consumer demanded animal welfare standards. The primary focus of Moojepin remains on our staff, animals and land. We pride ourselves on our land conservation practices and high animal welfare standards. The Moojepin Merino Stud was founded in 1993, and the MPM breeding program began in the year 2000 and has since taken an industry leading position. Over the years, Moojepin have challenged the traditional breeding of Merinos as they have become pioneers of muscle and fat. In 2004, Moojepin joined MerinoSelect which was a key turning point and has allowed for significant increases in the success of our breeding. We are always focused on the next generation of rams and bettering our breeding to ensure our product is always of the best quality that it can be. Over the past two decades Moojepin has seen an increase in fertility through the selection of high growth, high muscle and high fat. Moojepin Merinos stick out from the crowd as with every ram sold, there is data to back the superior claims.